I've always been fascinated by doors, and it seems that I'm not the only one who feels that way. For me, they say something about the people behind them. 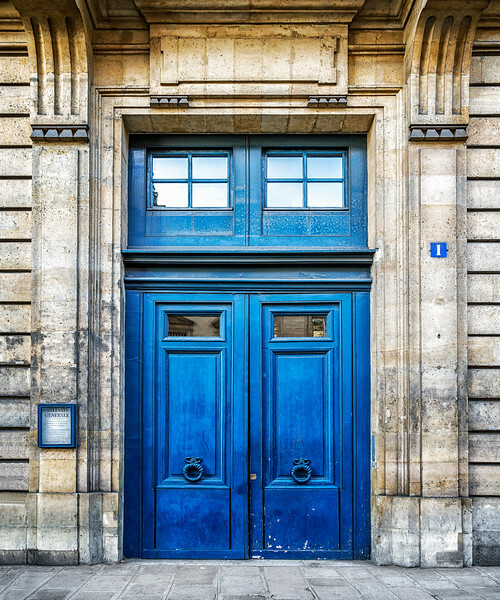 Walking down the streets of Paris, this set of beautiful blue doors caught my eye. The door knockers alone informed me that someone important must live inside. Note to myself ... get a door knocker ... feel important!